Magic Venezia, friends and a glass of wine! Inspire yourself with a touch of Venice! 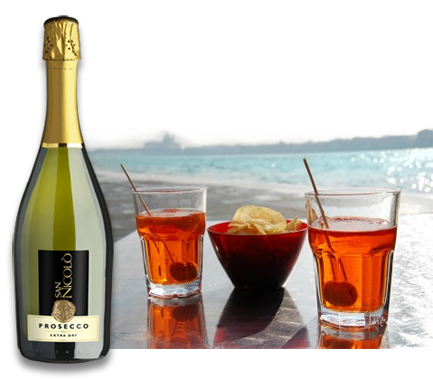 Discover our Prosecco and enjoy it with your friends! San Nicolò wines capture the magic, historic and welcoming essence of Venice. Starting with Prosecco, our most successful wine, the goal was to introduce a great quality Italian sparkling wine at an affordable price. Nowadays San Nicolò wines are available in the following varietals: Prosecco Spumante, Moscato Spumante, Moscato, Pinot Grigio, Bianco and Rosso. Think magic and have a great time!